Breakfast is probably my favorite meal of the day. 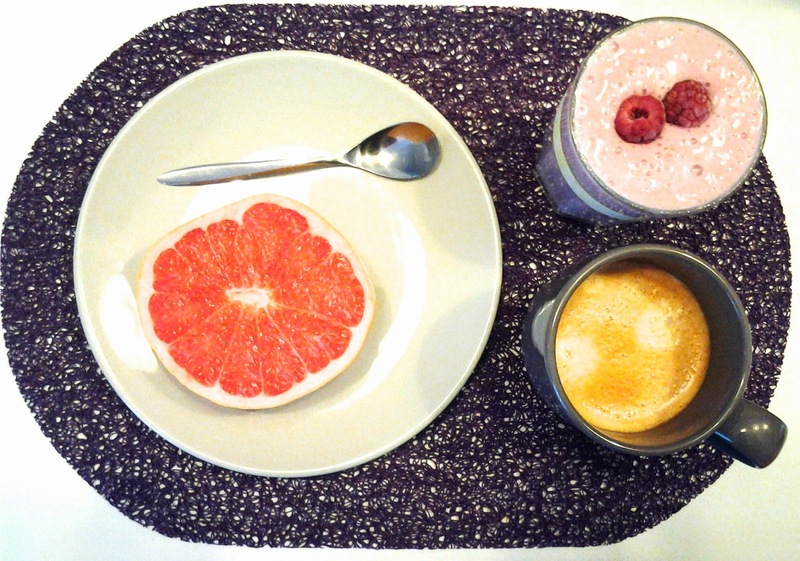 One of my favorite breakfast combo's at the moment consists of an espresso (or two) to start my day off, a protein smoothie and half a grapefruit to make sure I'm energized and ready for the day ahead. Blend all the fruit together until smooth. Slowly add the protein powder to ensure that there are no lumps. Add more or less milk depending on your consistency preferences. I prefer to have all my berries frozen so that my smoothie is cool after all the blending. Remember, don't be afraid to try different combinations or quantities depending on your preferences.